A comparison of the Esterbrook Renewpoint 9128 with the original Esterbrook 128 Extra Fine Elastic. A wealth of information there. Thank you. My contribution: A comparison of the Esterbrook 314 Relief Stub with the Renew 9314-F, 9314-M, & 9314-B nibs. The 314 and the 9314-M are the smoothest writers. Edited by corgicoupe, 23 January 2019 - 17:17. I have a few others I would like to compare but first must learn to write reasonably well with the steel pens. 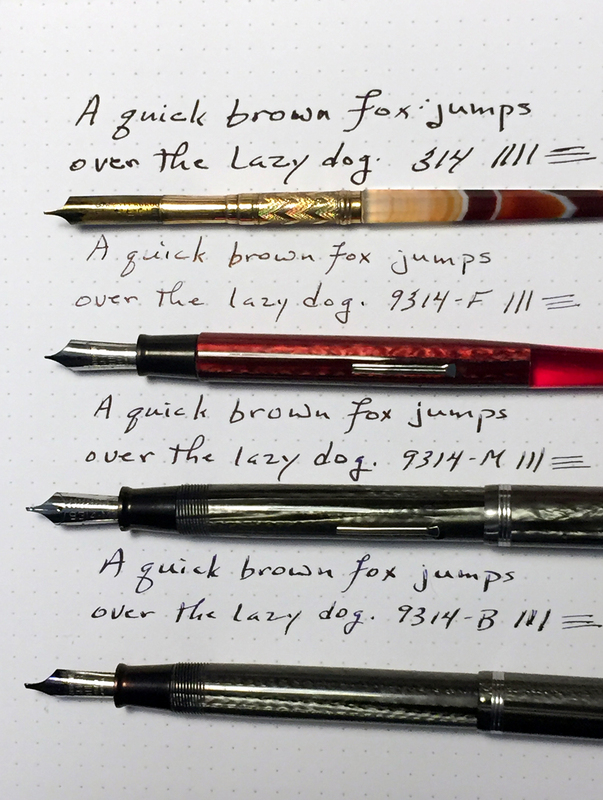 My 2442, 9048, and 9284 are easy to use but the steel pen equivalents are giving me problems. I also have the 788 gifted to me and if I can get that to work I will look for a 9788. I suspect I am pressing too hard with these pointed steel pens and need to learn to let them float on the page rather than attempt to get line variation. If you have to press hard to get line variation it means that those nibs are not meant to give much variation. 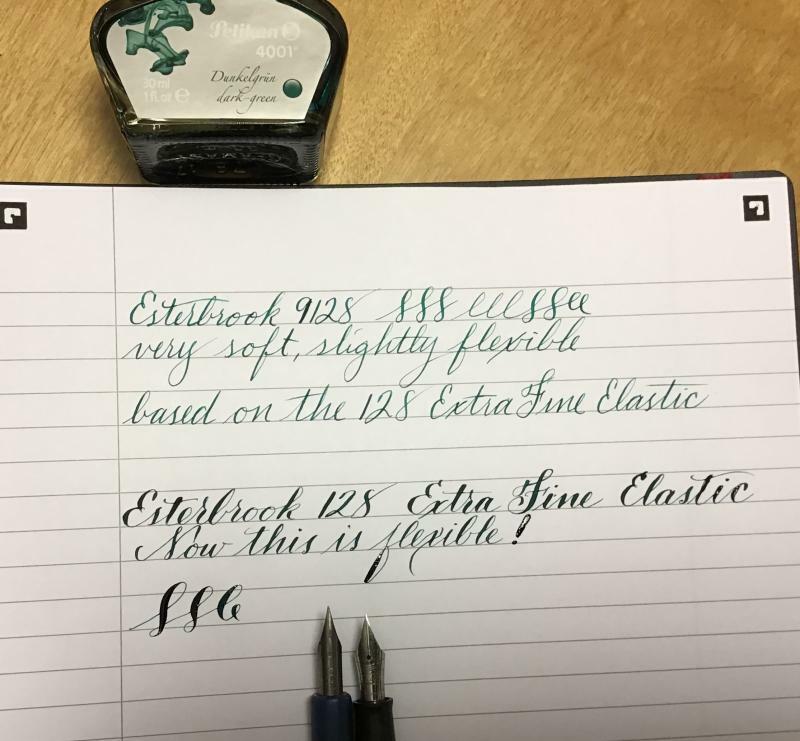 A truly flexible nib doesn't take all that much to flex. I have a 9788 which is soft but not really flexible, and I've had 9128s that were similar in flex.